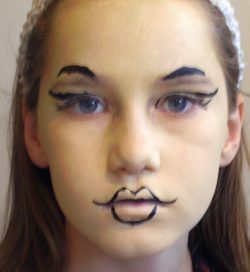 Bratz doll parties are very popular for girls these days, so to be able to face paint a Bratz doll we have a helpful set of 5 photos to take you through each of the stages in painting the face. 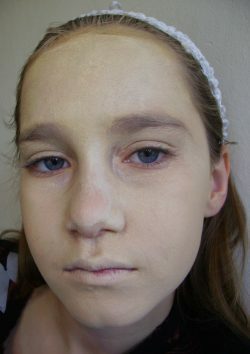 To start with use a sponge to create an overal base color for the effect needed. 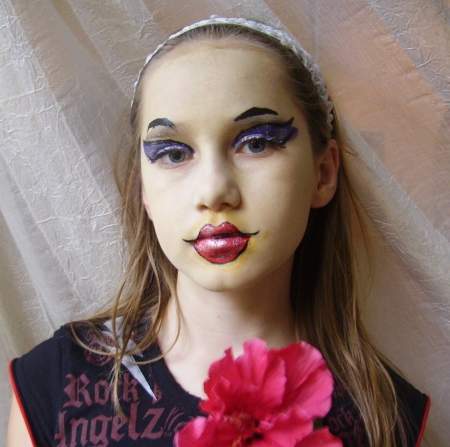 In this series of photos Kryolan paints were used. 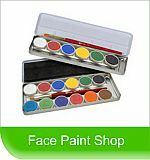 Start by filling in the main feature lines of the eye-brows, eyes and lips. 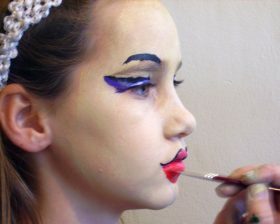 Choose the color you want for the lips and eyes and fill in these areas with color. Make the final touch-ups and finish of filling and high-lights. 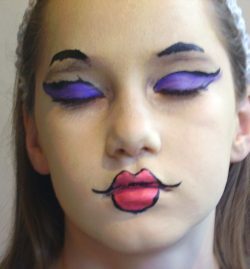 Here is the completed face, great for a Bratz party.